As we begin our Centenary Celebration and IYPT2019, I wanted to wish all of you a very Happy New Year and to let you know that many activities are well underway and hope that you and your organizations will encourage your members, students and societies to get involved. 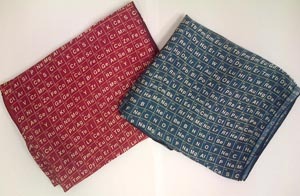 The Periodic Table Challenge, a fun on-line quiz for all age participants with Periodic Table trivia, is now on-line. Get in your Element and play the challenge! People from more than 83 countries have already participated after our first week. Players who meet the challenge can enter the Nobelium Contest to win a limited edition Periodic Table signed by a Nobel Laureate. https://iupac.org/100/pt-challenge/ Some of IUPAC’s NAOs are using this on-line quiz for their National Celebrations of IUPAC100. We have launched the Periodic Table Challenge (1 week ago today) and so far….. Please do not hesitate to contact me for further information or assistance. We look forward to a busy and exciting year and glad that you will be a part of it. How do we know what the temperature of our planet was a million years ago, to better understand climate change? Where did Őtzi the Iceman live as a child and an adult? What evidence gives doping agencies the gold standard to determine whether testosterone in an athlete’s sample comes from doping? How do we obtain 3D images of tumors in soft tissues? The answers to all of these questions and many more can be revealed through a deeper understanding of isotopes of the elements. Isotopes matter! These new resources are created for educators and students at secondary and post-secondary levels, and to inform the public about the many uses of isotopes in our lives. They are based on educational practices that encourage engaged and active learning by students. 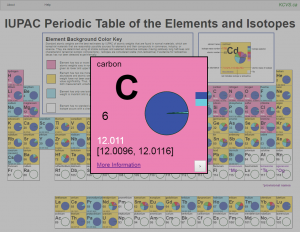 The new IUPAC interactive electronic periodic table and accompanying educational materials were created by a partnership between an IUPAC Project team of scientists and educators, and researchers at the King’s Centre for Visualization in Science, and build on the work of a previous IUPAC project team to create a print version of the Periodic Table of the Isotopes. “This project responds to requests by educators and students for resources highlighting the importance of isotopes in our lives, and that give students help in using interval atomic weights for elements. www.ISOTOPESMATTER.com brings free engaging and interactive learning resources to the fingertips of students and educators around the world,” says Task Group Co-Chair Peter Mahaffy, Professor of Chemistry at the King’s University in Canada, and co-director of the King’s Centre for Visualization in Science. Following the global launch on August 17, 2016, the new IUPAC interactive electronic periodic table and accompanying resources can be accessed at www.isotopesmatter.com. A print version of the periodic table of the isotopes and elements is available at http://ciaaw.org/periodic-table-isotopes.htm. 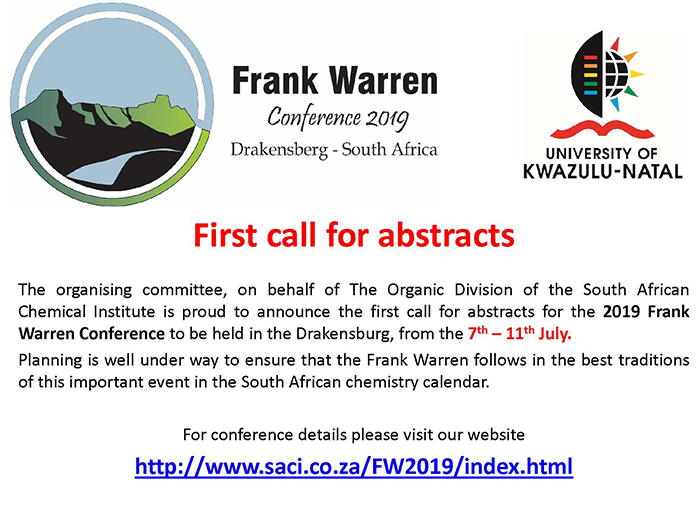 Further details will be published in the peer-reviewed IUPAC Journal, Pure and Applied Chemistry. 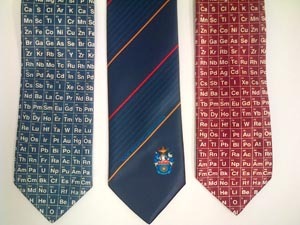 Periodic table ties and ladies scarfs R120 each. Please contact the head office to place orders. There is also a courier charge of R135 per order for delivery. We would encourage you to become a member of SACI so that you can continue to access this information.